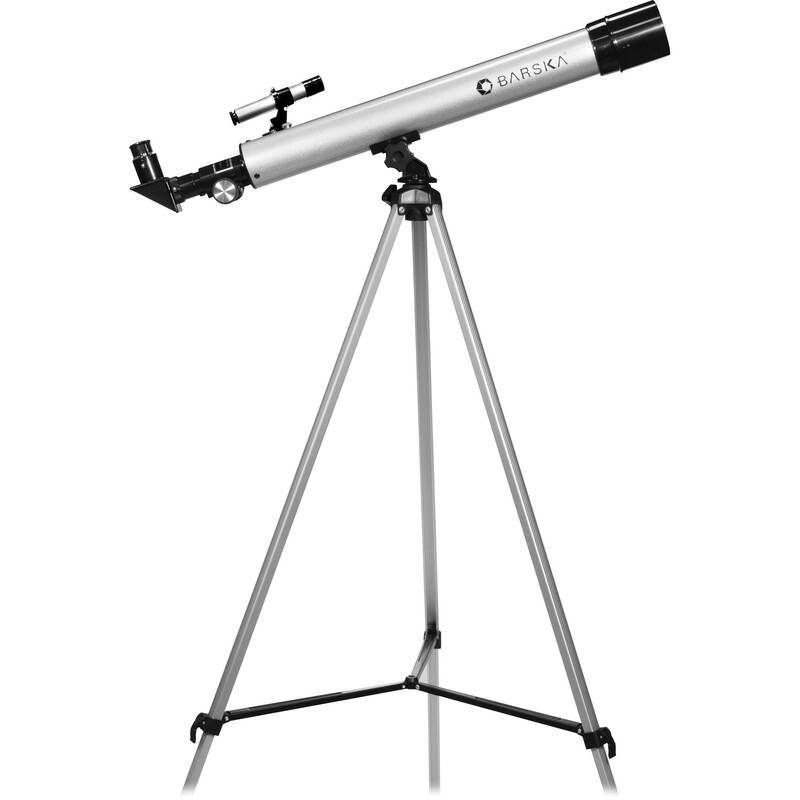 The 450 Power, 60050 Starwatcher Refractor Telescope (Silver) from Barska begins everyone's journey to the stars and planets. The 450 Power, 60050 Starwatcher is an ideal entry-level telescope for the aspiring amateur astronomer. It is easy to set up and comes with everything necessary to begin the adventure of a lifetime including telescope, finderscope, eyepieces, mount and tripod. The beginner's version of Barska's popular Deepsky Astronomy Software leads this journey into space. The software is packed with many features that both experienced and novice users will appreciate and includes a searchable database of over 10,000+ objects including, nebulae, star clusters, double stars, and variable stars. Simply load it into a PC and begin your journey to the stars and planets. Aperture 50 mm / 2"
Box Dimensions (LxWxH) 33.0 x 7.0 x 4.0"
Hi,I would say it's really easy to assemble. Be careful with small bolts and nuts to miss. I lost the instructions, can I find them online? It might be easiest to go to the Orion Telescope website, find a telescope that looks like yours and get that scope's user manual in pdf format from there.